There is no questioning the fact that buying a platinum and diamond ring is the traditional way to go when buying an engagement ring. 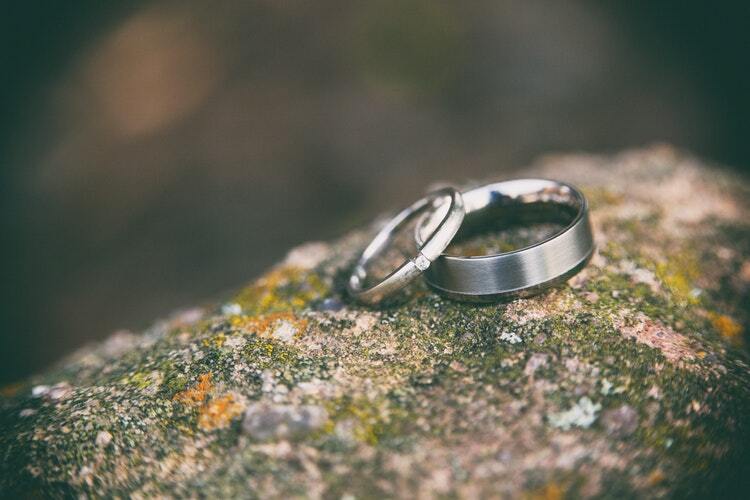 However, the steep price of platinum rings makes it an impractical option for some couples. A lot of couples make it a point to fund their own weddings and have limited funds to work with. They often look for alternative metal options that look just as good as platinum but without the premium price. Platinum is expensive because it’s rare. It’s, in fact, rarer than both gold and diamond. than platinum. If you are looking for an alternative metal option for your engagement or wedding ring, you have stumbled upon the right post. Following are 5 platinum alternatives that can save you big bucks. Titanium: Titanium is durable, lightweight, hypoallergenic, and surprisingly affordable. usually cost less than a couple of hundred dollars. The metal also has a luxurious white metal look and it’s resistant to scratches. Palladium: Palladium is a popular white metal option used to craft affordable UK engagement rings. The metal is 40 to 50 percent cheaper than platinum and is lighter in weight. The metal also does not require replating. Another advantage of palladium is that it’s highly malleable. This allows designers to create intricate flowing designs, which is impossible to do using platinum. white gold. This metal alloy, however, is supremely durable. Thanks to its durability, rings made from cobalt are completely resistant to scratches and dents. The cobalt alloy does not contain nickel and other allergy-causing metals. can get worn over the years. Much like palladium, white gold is supremely malleable and thus intricately designed white gold engagement rings are not hard to find. Even though white gold is white in color it’s crafted from real gold which increases its value. When compared to platinum, white gold rings are around 25 to 30 percent less expensive. Sterling Silver: Silver has forever been a valued metal for creating jewellery. The metal, however, was never a popular choice for wedding and engagement ring. Thanks to the growing demand for budget engagement rings, sterling silver engagement rings are now increasingly becoming popular. Apart from it’s luxurious silvery sheen, the metal is hypoallergenic and supremely durable. Sterling silver rings also cost a fraction of what platinum rings do.